"An Exclusive Community for Young Professionals"
Luxury Party Bus complete with food, drinks, movies and more! 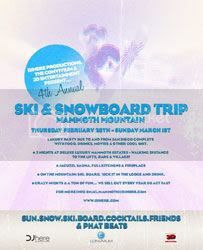 "On mountain: ski, board, kick it in the lodge and drink"
Only 50 spots this year and they sell out fast every year. Contact mammoth@djhere.com. Click here for last year's pictures. 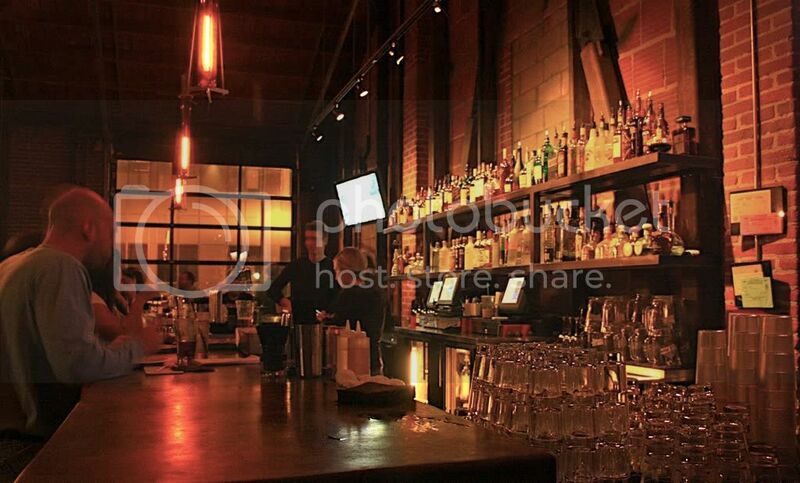 Local hotspot Basic Urban Kitchen & Bar (also known as "Basic" to locals) , located at 410 10th Avenue, San Diego, California 92101, presents a series of art, video and recreational events. This event occurs every Tuesday and is free. "Graffiti reminds me of events in Brooklyn," said Shane Baker of schugariver, which promotes the event. "Where you will find that talent still prevails -- not how many people are on the guest list." Clich here for more details. This Saturday on February 14th 2009, come celebrate Valentine's Day and help support "Burners Without Borders"
Click here for details on who Burners Without Borders are. Happy Valentine's Day! From February 13th through February 15th Hornblower Cruises is offering their signature Dinner Cruise every night of Valentine's week. Tickets range from $49.95 - $169.00. Cruises are 3 hours complete with gourmet dinner, champagne, entertainment and dancing--all on a luxury Hornblower yacht. In perfect Hooter Girl-esque fashion, The Tilted Kilt offers up food, drinks, sports, and the Tilted Kilt girls. Watch Superbowl 43 live at the Tilted Kilt! Soak in the free live music while enjoying the gorgeous sights, restaurant and boutiques of Seaport Village!